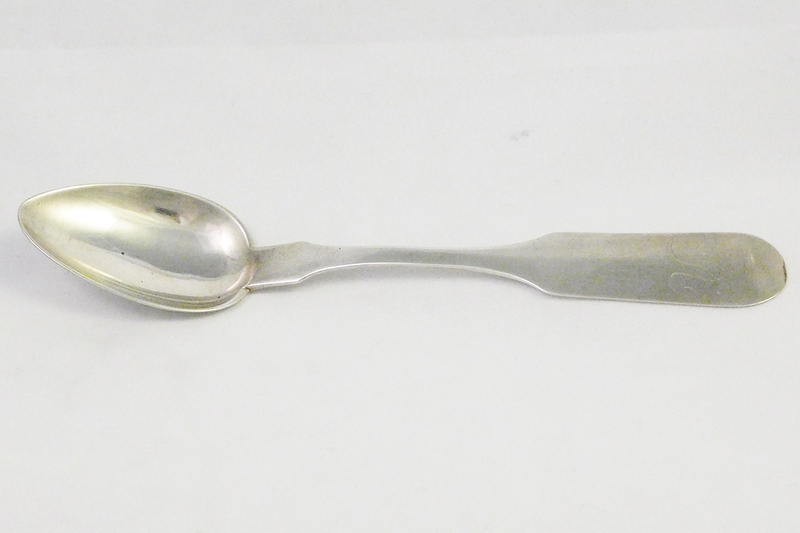 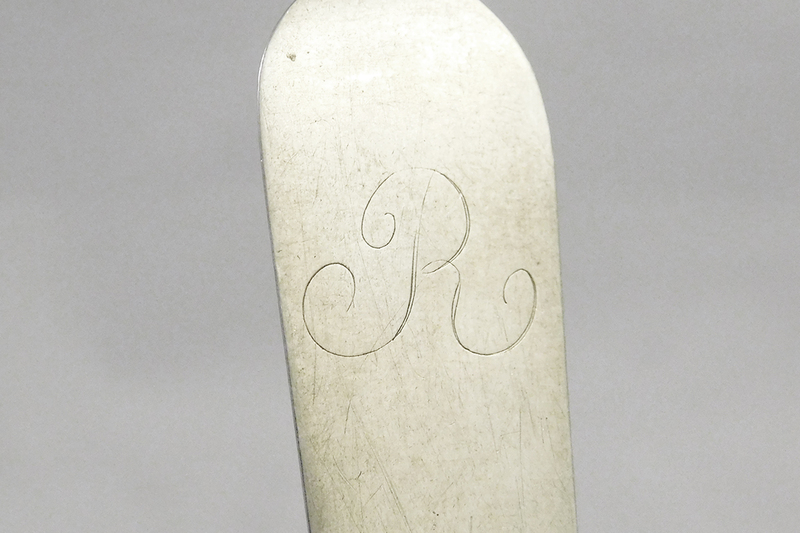 A large 6 ½ inch teaspoon by Benedict Beal Marsh, Flemingsburg, Richmond, and Paris, Kentucky. 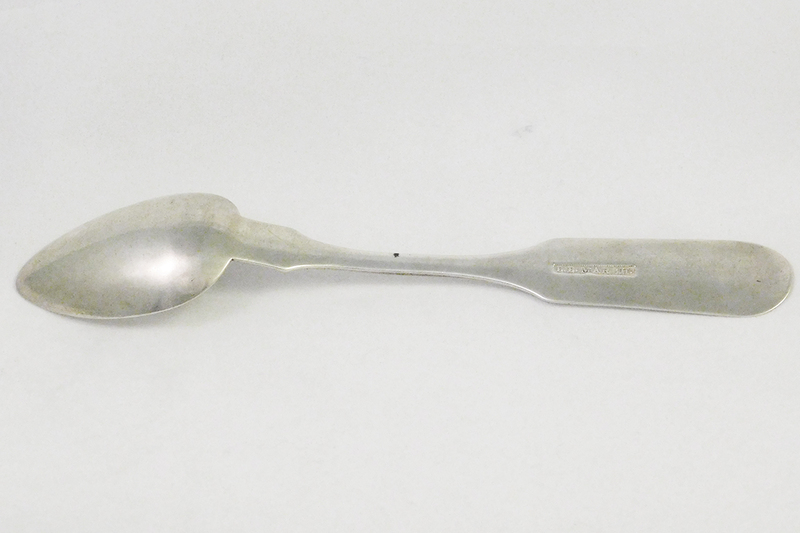 The form of this spoon is early enough to have been from his Flemingsburg period, as Marsh only appeared in Paris after 1840. 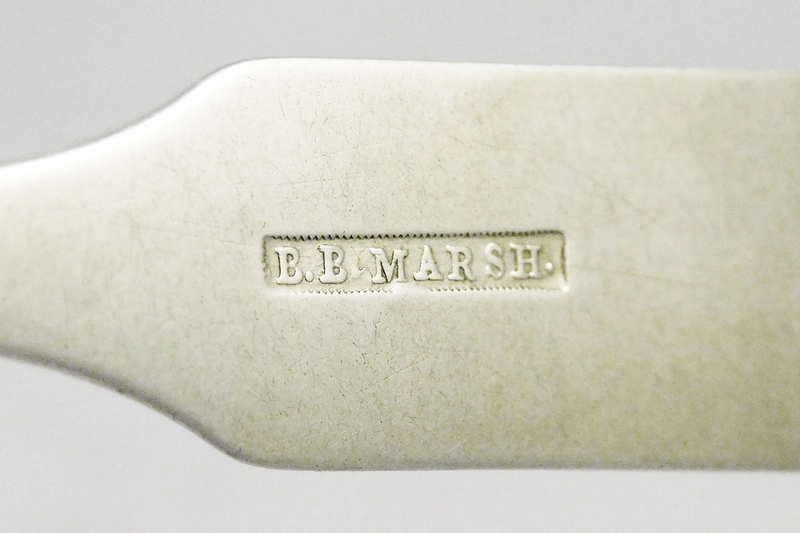 Excellent condition and strong maker’s mark.